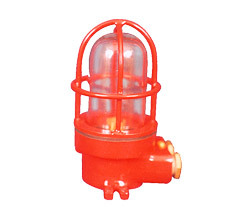 1151 Die cast Aluminium body and die cast protective wire guard with clear U shape glass with rubber gasket, porcelain BC or ES holder, 2 way connector with 2 nos. cable entries with plastic cable glands. 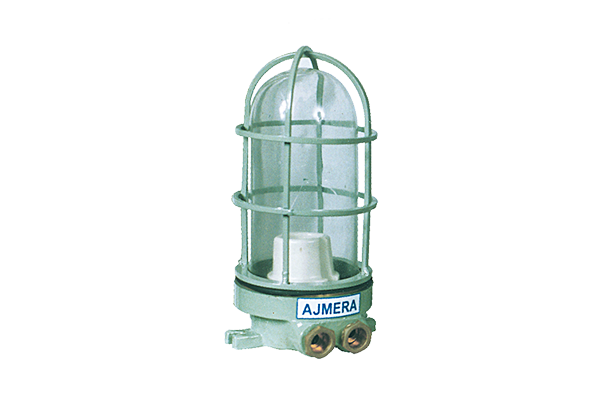 SS Hardware suitable upto 60W Lamp. 2541 Same as per 1151 with cast Brass body and Brass / SS wire guard. 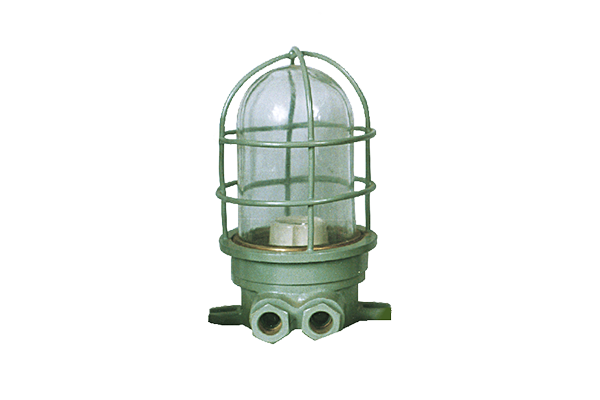 1152 Same as per 1151 - suitable upto 200W Lamp. 1161 Same as per 1151 -top entry. 1171 Same as per 1151 - suitable for side wall mounting arrangements with 2 nos. cable entries Brass glands opposite side. 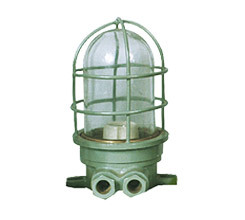 1371 --- do --- cast Brass body with Brass / SS protective wire Guard. 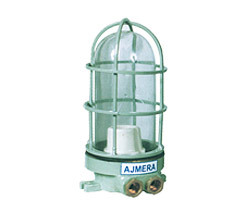 1181 Cast Aluminium body with MS/SS protective wire guard with clear U shape threaded glass porcelain BC / ES lamp holder with 2 way connector with 2 nos. 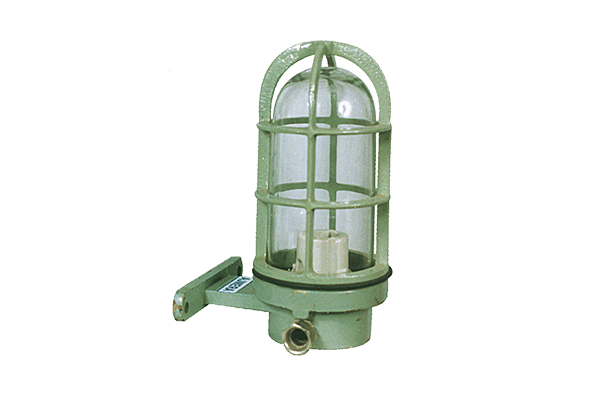 suitable upto 100W Lamp. 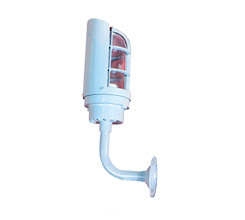 1182 Same as per 1181 - suitable for side wall mounting arrangement with 2 nos. opposite side cable entries with Brass cable glands. 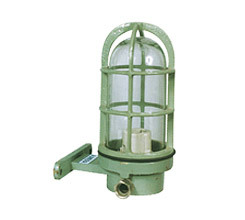 1381 Same as per 1181 - Cast Brass body with Brass/ SS protective wire guard. 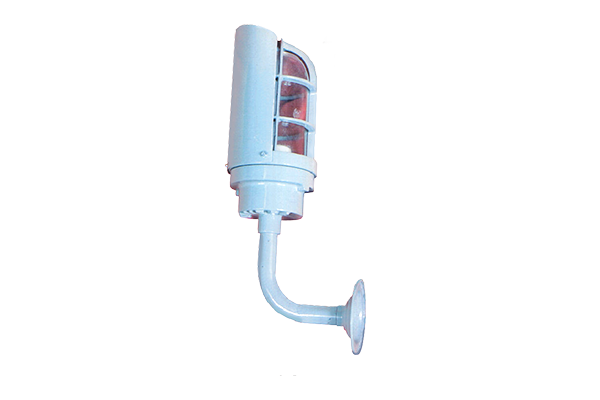 1382 Same as per 1381 - suitable for side wall mounting arrangement with 2 nos. Opp. side cable entries with Brass cable glands. 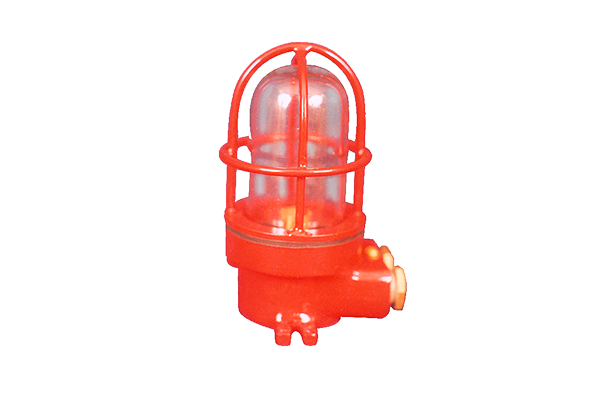 1154 Cast Aluminium body with die cast Aluminium protective wire guard with clear U shape glass with rubber gasket. SBC Brass holder for 24V. 25W. pigmy lamp. 2 nos. cable entries with plastic cable glands. Fitting mainly useful for emergency LED Light Fittings. 1354 ---do--- cast Brass body. Note: Red/ Green/ Yellow / Blue color glasses also available as per the requirement.